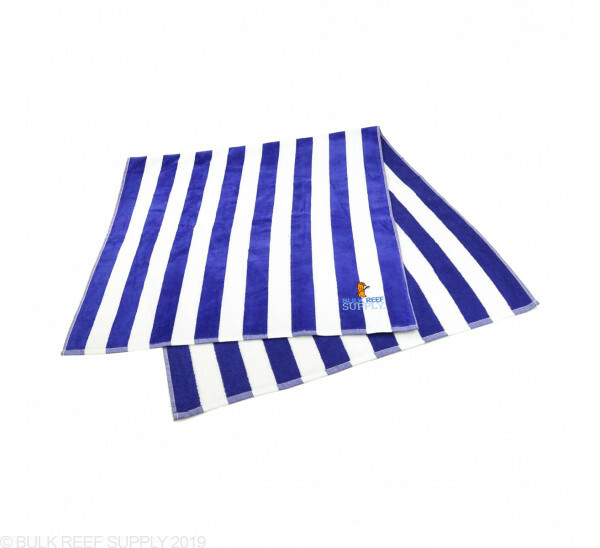 The BRS Cabana Striped Beach Towel is blue and white striped with the BulkReefSupply.com logo embroidered in the lower corner. 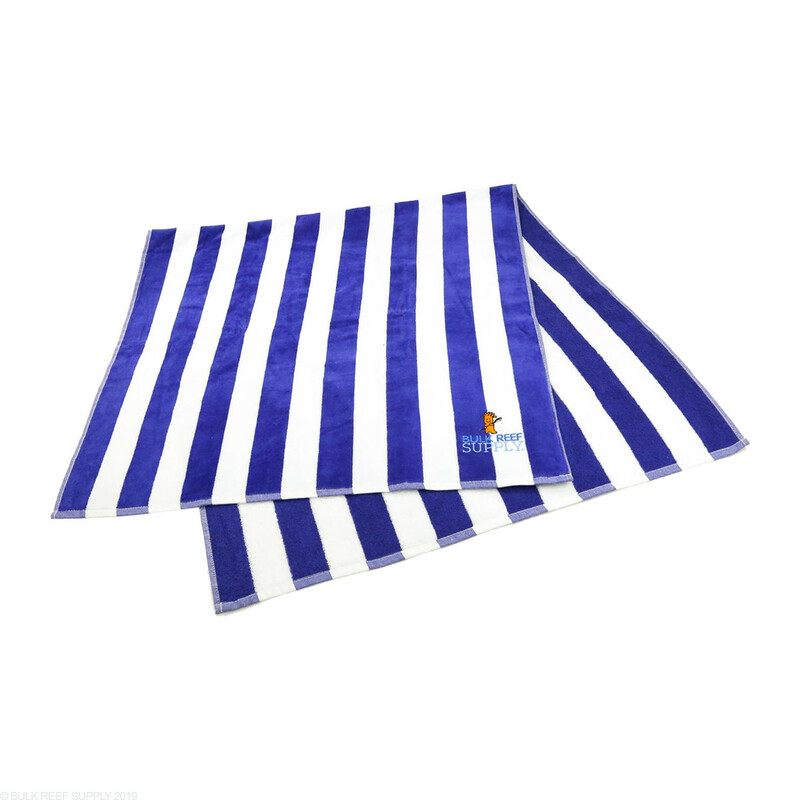 Keep one next to your tank! If you have not had water drips down the front of your tank, then it is just a matter of time. Keeping a towel by your aquarium will let you clean up any water drips or spills before they have a chance to dry and leave hard water stains that can be stubborn to remove. 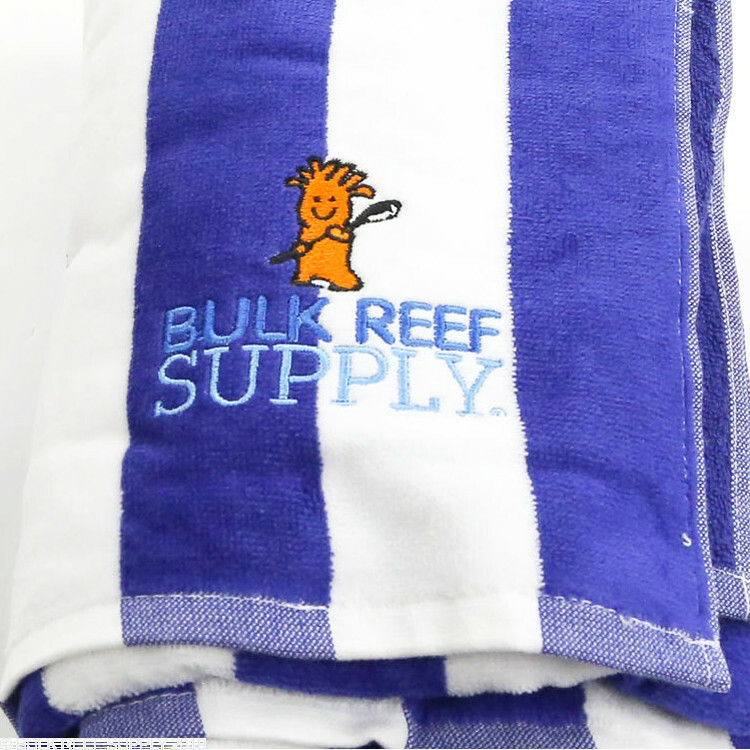 The BRS Beach Towel is made of 100% cotton and makes a very comfortable beach towel to lay on!